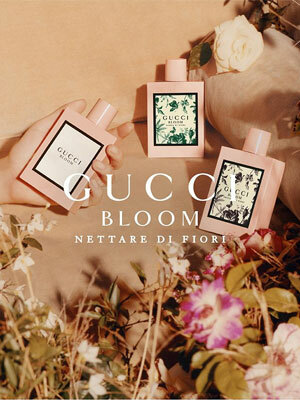 Bloom Nettare Di Fiori by Gucci - An intense and powdery version of the original Gucci Bloom fragrance. As the third installment, following Gucci Bloom Acqua di Fiori earlier this year, this chypre floral was created by perfumer Alberto Morillas and includes notes of ginger, rose, patchouli, musks, and osmanthus, blended with the original scents of rangoon creeper, jasmine and tuberose. 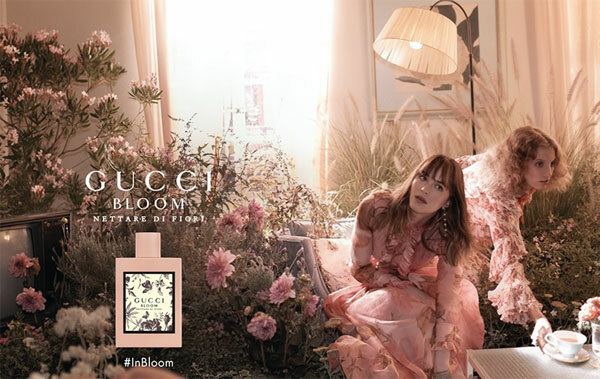 The new scent is housed in the original pink laquered Bloom perfume bottle with a black Herbarium print accent. 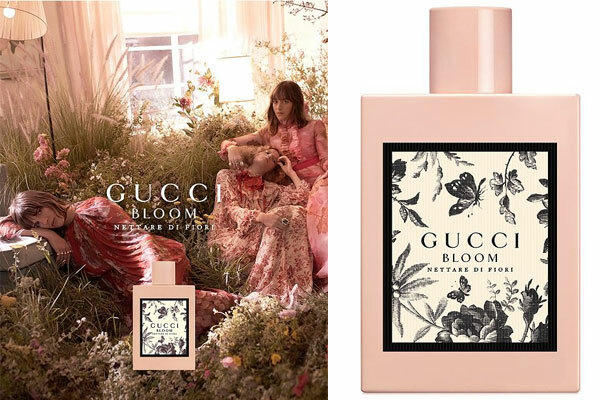 Launched in August 2018, this new version is available in an eau de parfum spray from ULTA, Sephora, and Macy's. 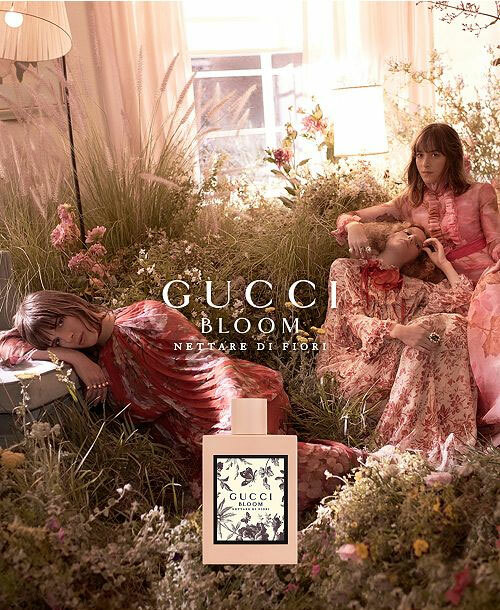 The fragrance campaign ads features actress Dakota Johnson, with Hari Nef and Petra Collins, photographed by Glen Luchford. 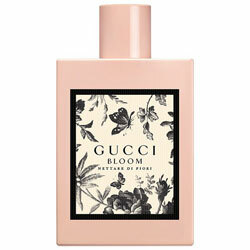 Package Design Original Gucci Bloom perfume bottle in pink lacquer accented with black Herbarium print. 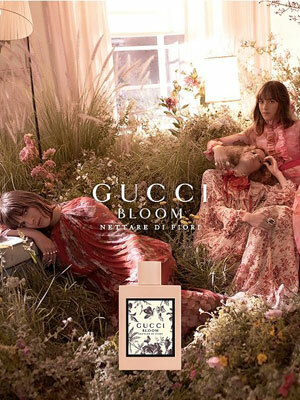 Top notes of Ginger and Rose. Natural tuberose harvested from India. Jasmine bud extract, obtained through an exclusive method of co-extraction to impart a fresh green and petal scent on the skin. Rangoon Creeper, embodying the fragrance's concept and name, the slightly powdery floral scent is captured as the flower blooms from white and gradually darkens to pink, then red. 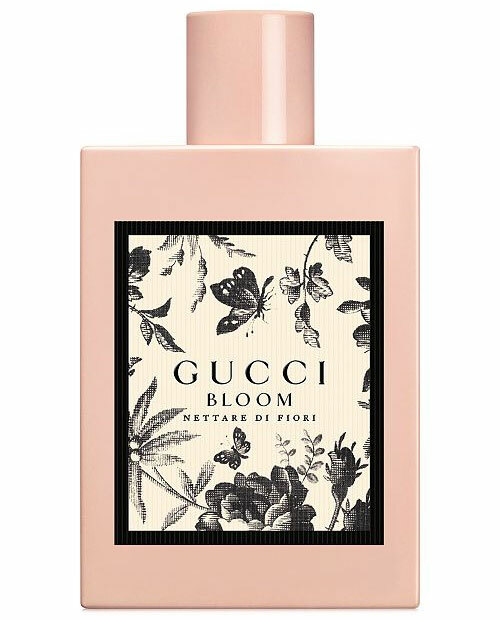 Base notes of Patchouli, Musks and Osmanthus.